Want your middle schoolers to intelligently engage with mathematical ideas? Look no further. 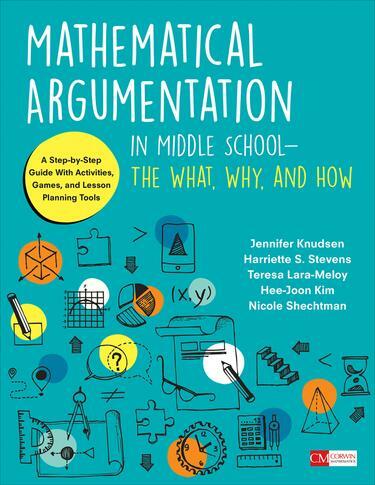 This research-based gem brings tough Standards for Mathematical Practice 3 standards for mathematical argumentation and critical reasoning alive—all within a thoroughly explained four-part model that covers generating cases, conjecturing, justifying, and concluding. Includes games, vignettes, a rich companion website, sample tasks, and links to online tools. Bring well-planned, well-constructed mathematical discourse to life in your classroom today!